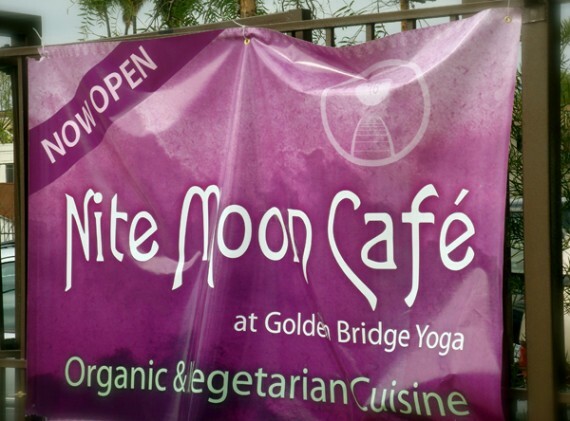 Nite Moon Cafe is part of Golden Bridge Yoga right here in Hollywood. They offer a fresh salad bar, sandwiches, some killer sounding specials, smoothies, juices, and a million and one vegan and healthfully prepared baked goods. The ambiance of Nite Moon is peaceful, healthy, and very friendly. From the moment I walked in, I was greeted by the friendly woman at the counter who started telling me about the cafe and all the vegan goodies they had to offer. I have to say that of all the vegan restaurants I’ve eaten at, Nite Moon Cafe has the biggest variety of vegan baked goods. 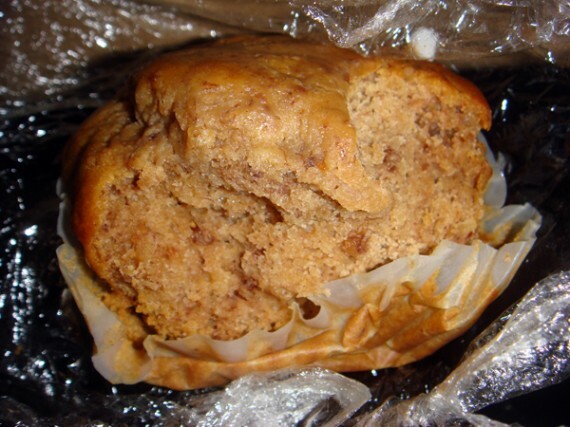 The baked goods are also prepared healthfully using things like spelt flour, agave, wheat flour, fresh nuts, and organic fruits. This is the go to brownie for any chocolate cravings out there. 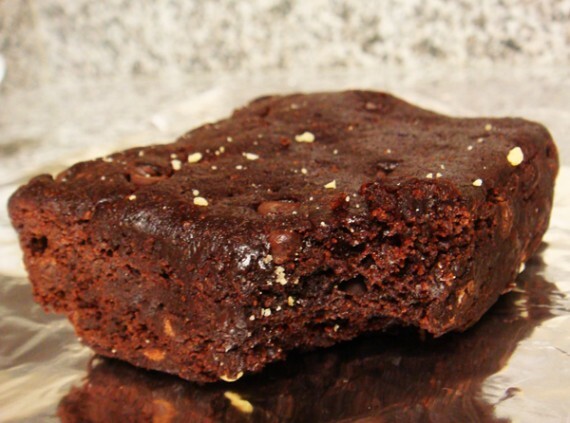 Falls apart the second it hits your mouth—it is so amazing…Nutty, Chocolaty—rock star brownie right there! Wooh! I really don’t have words to express how impressed I am with Nite Moon Cafe. It’s a great cafe and I am totally heading in again this week to try some lunch! Great atmosphere, great people, and GREAT baked goods! Head down and support!! Can I ask how you knew all the desserts and baked goods were vegan? Their menu seemed to have a lot of cheese and “soy cheese” which is not always vegan and I didn’t see the word vegan anywhere on the menu. Thanks! I was a regular at the old Nite Moon Cafe, and I can vouch for their vegan credibility. They ALWAYS had lots of vegan desserts on hand (clearly labeled) and were forthcoming with the fact that their soy cheese (and real cheese obviously) wasn’t vegan. I can’t wait to try the new location. And all these vegan desserts. when i was at the old hollywood location, most of the baked items were labeled as vegan. i think they should ditch the crappy soy cheese and get some daiya up in there! Their soups are delicious too! 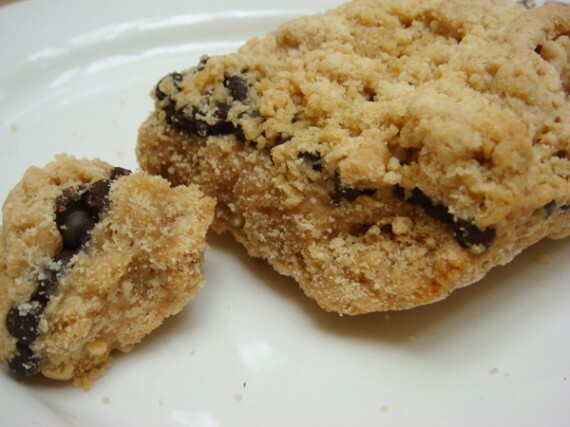 I just went back today and got the peanut butter jelly bar.. oh my word so delicious. if you stop in try that as well! ^The soups do sound pretty yummy- cant wait to try them! Oh dear. We walked past this this evening during our walk — such baked goods within very short walking distance is very dangerous. I am in love with Night Moon Cafe. 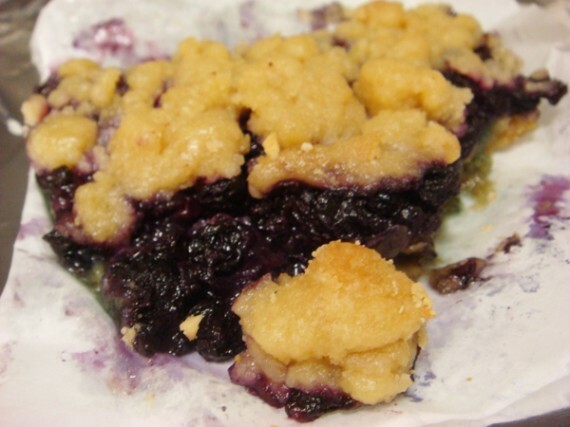 The peanut butter and jelly bar is pure bliss! But, first I have my mung beans and rice! So yummy!!! 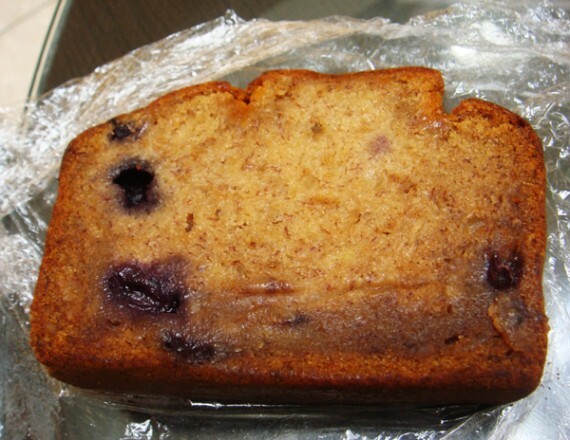 I agree with you Susan; that Peanut Butter and Jelly Bar is ridiculously good. I cannot even describe it! 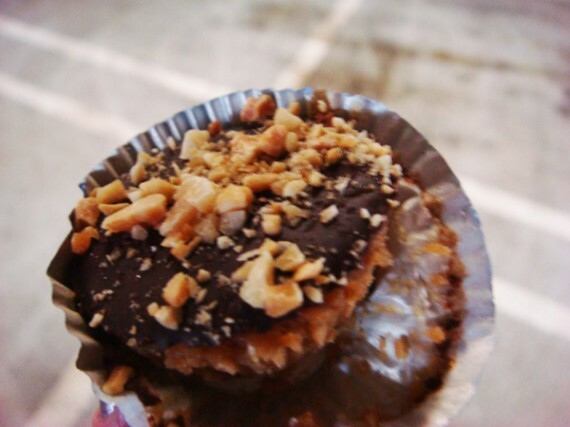 :):) I went back by today and had the pb & chocolate bar.. also amazing! We finally went to Nite Moon Cafe for lunch today, and though the food was good, we despised the atmosphere (see my review on Happy Cow). NOT a place we’ll be revisiting! (Oh, and the only thing I know about the desserts was that NONE of them were gluten-free! Spelt is not gluten-free.) Sad, because this cafe is within walking distance of where we live, thus we might have become somewhat regular customers had things been different….